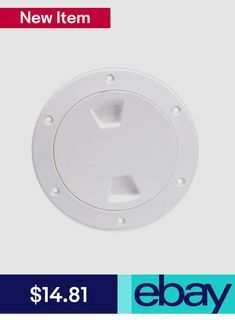 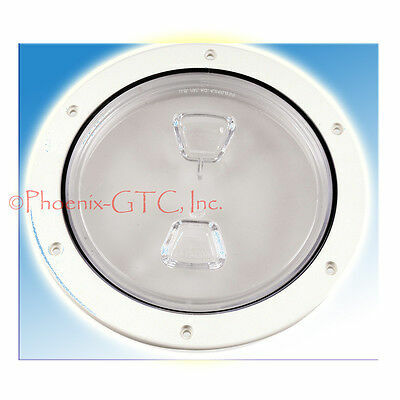 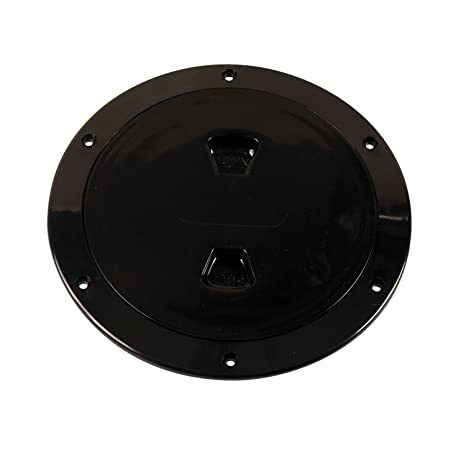 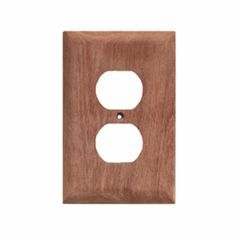 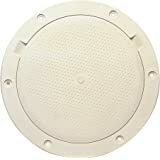 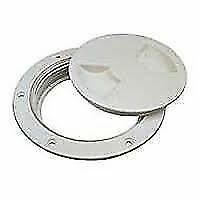 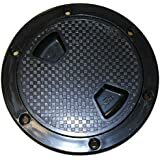 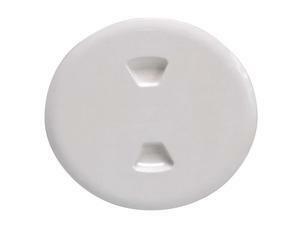 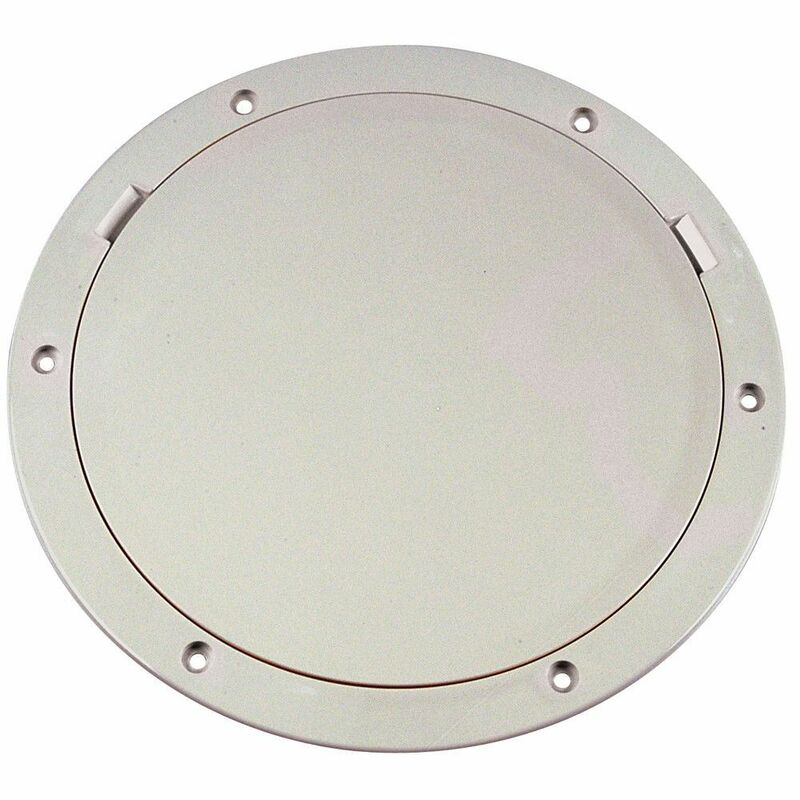 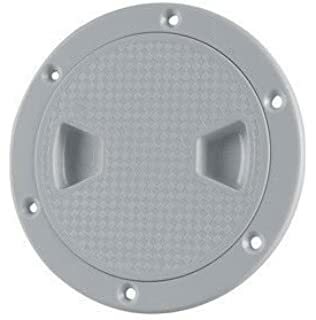 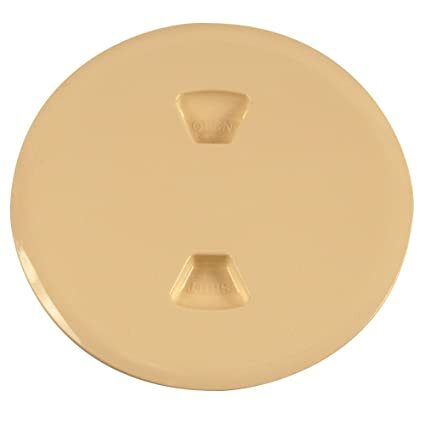 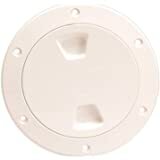 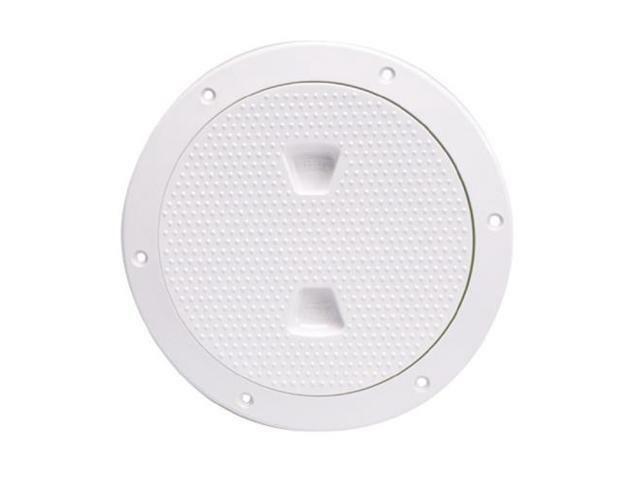 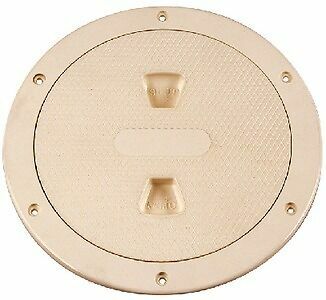 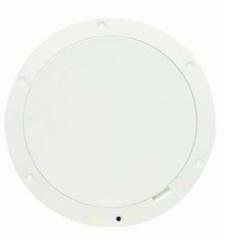 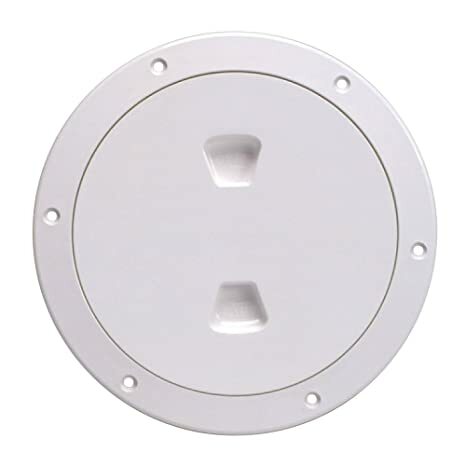 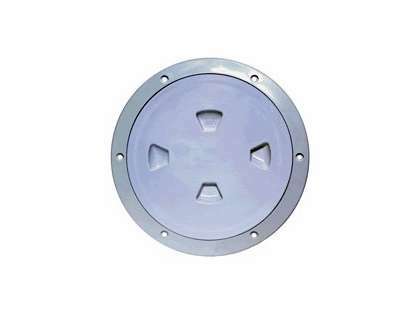 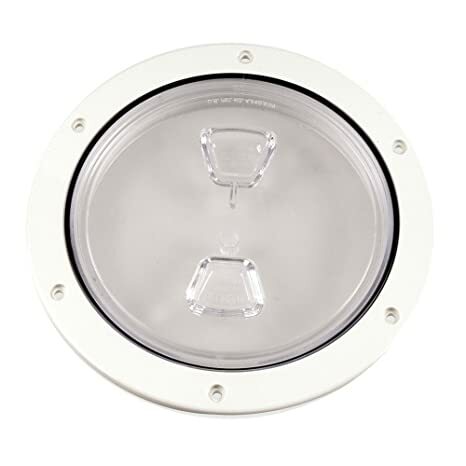 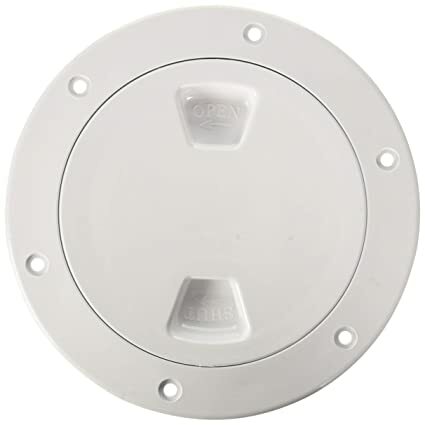 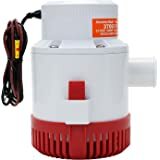 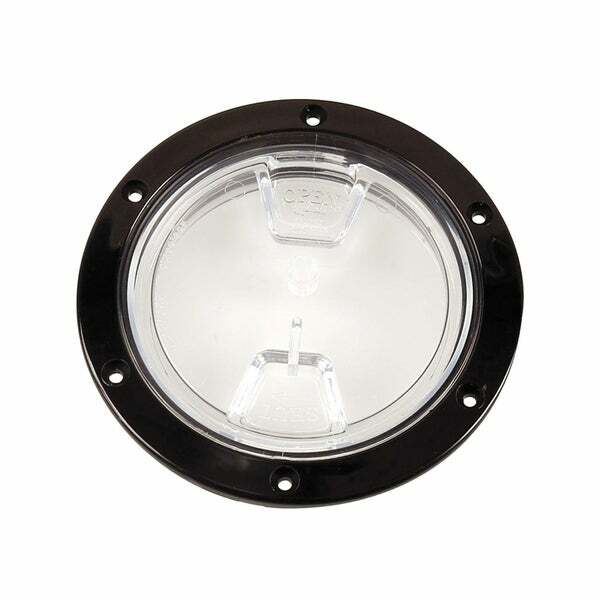 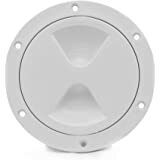 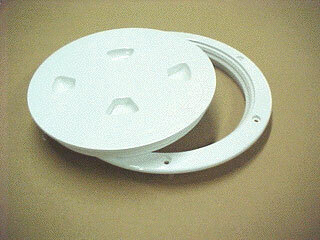 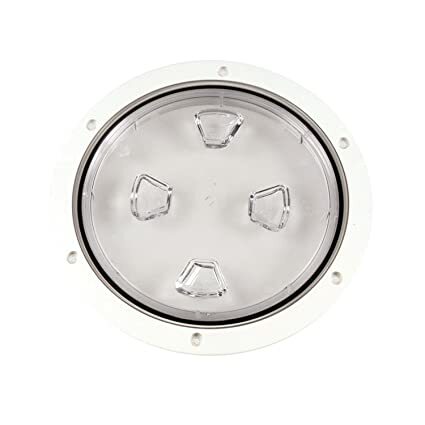 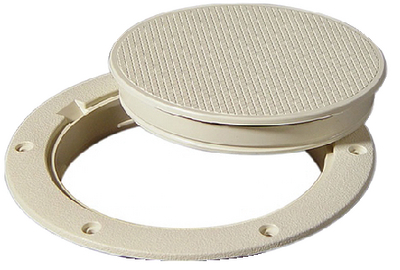 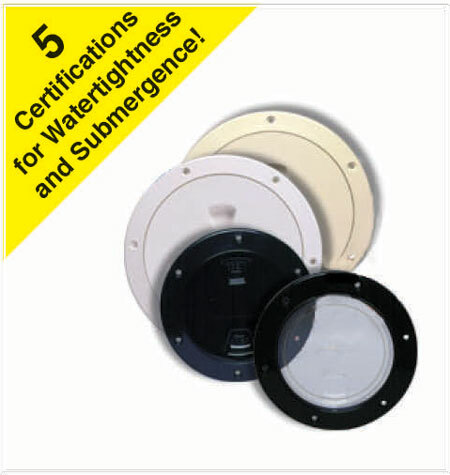 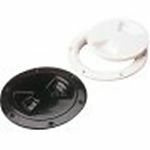 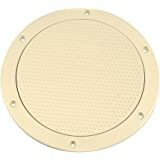 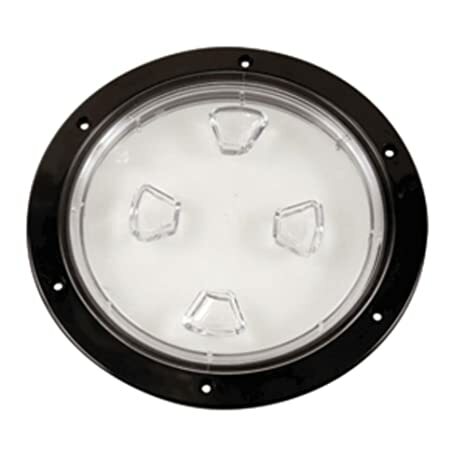 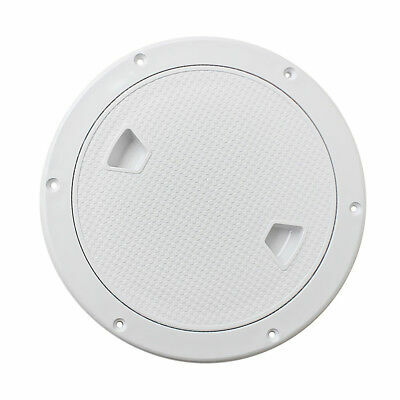 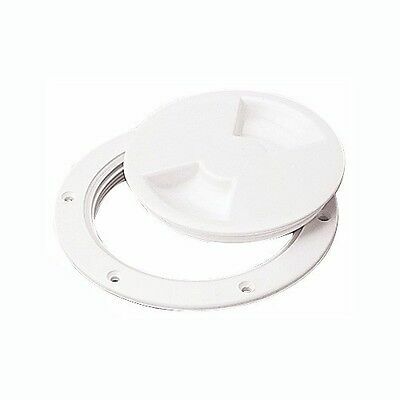 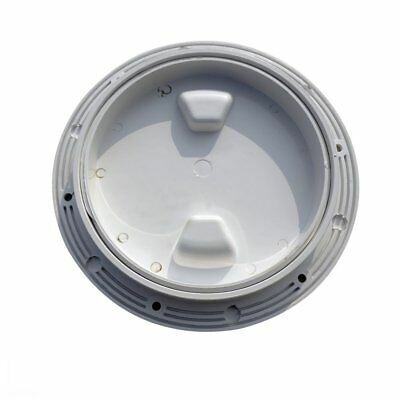 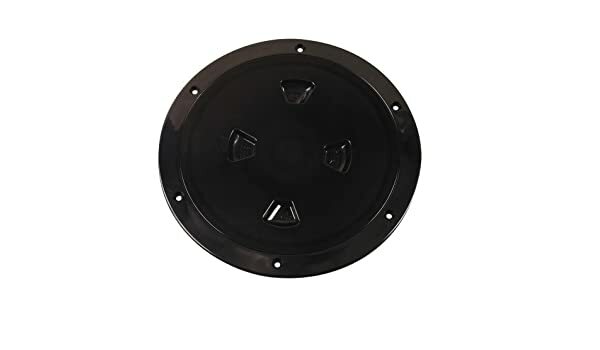 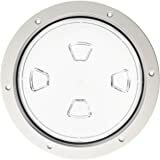 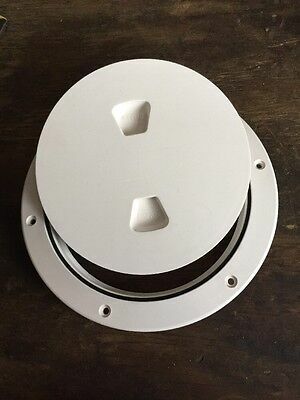 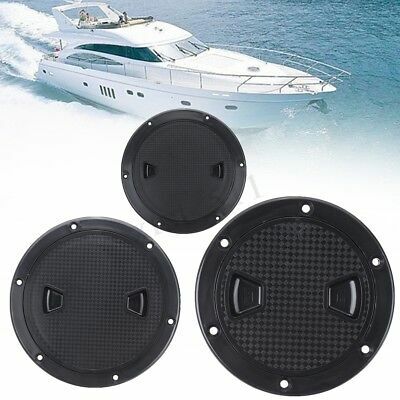 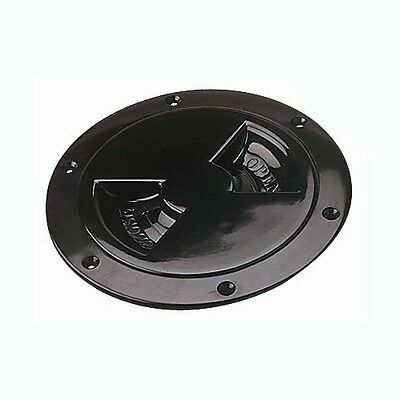 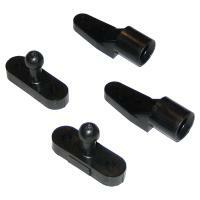 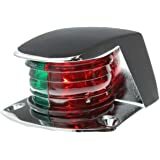 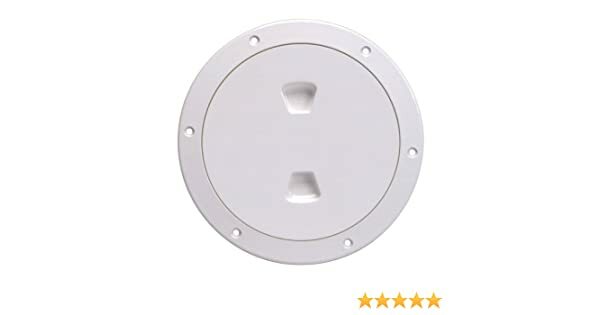 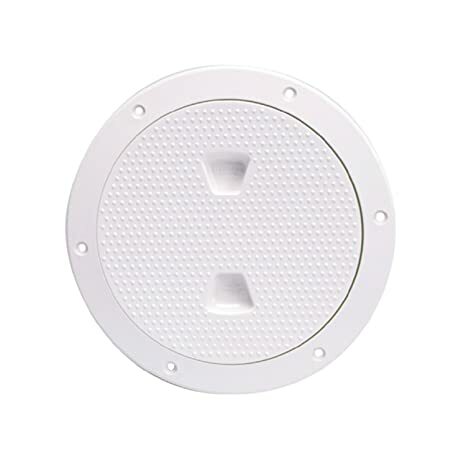 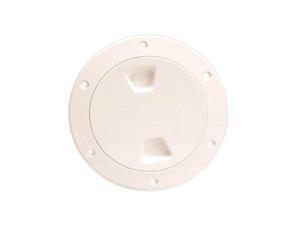 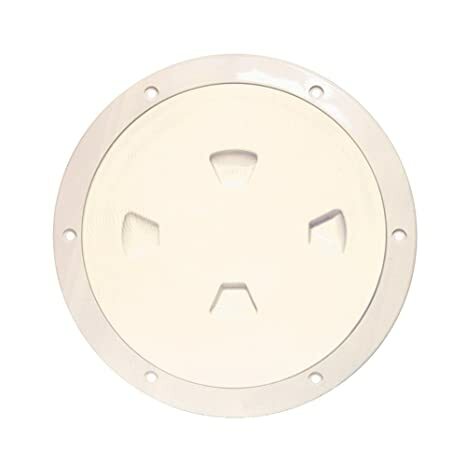 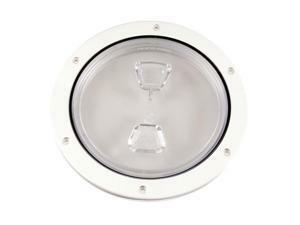 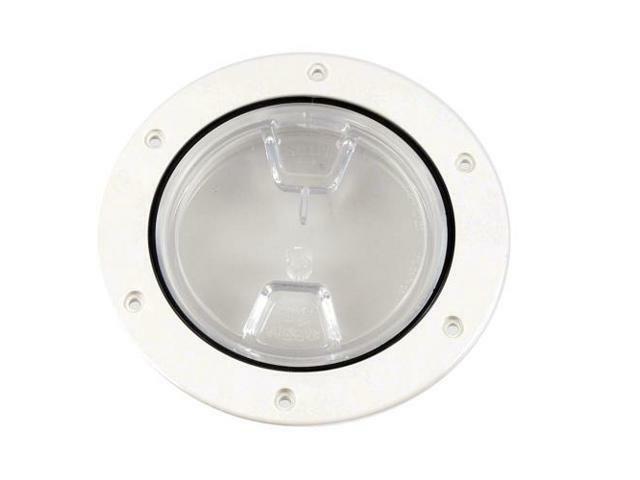 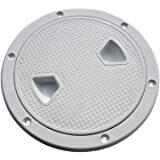 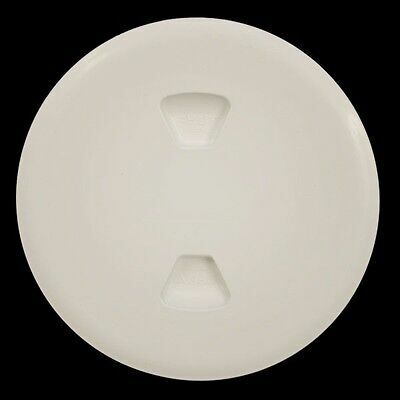 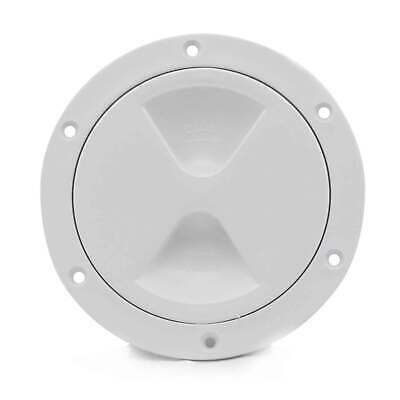 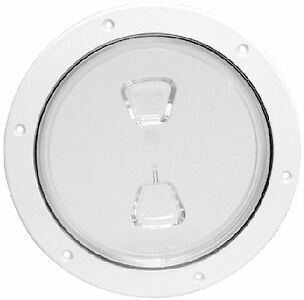 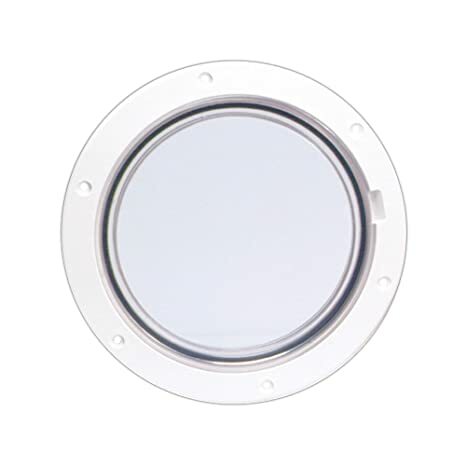 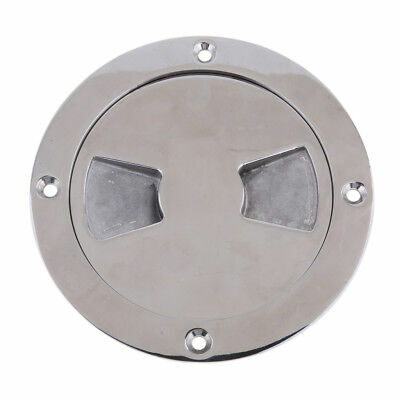 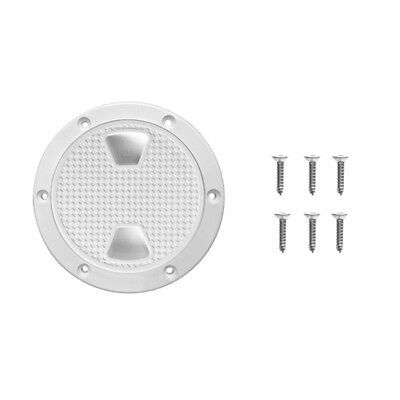 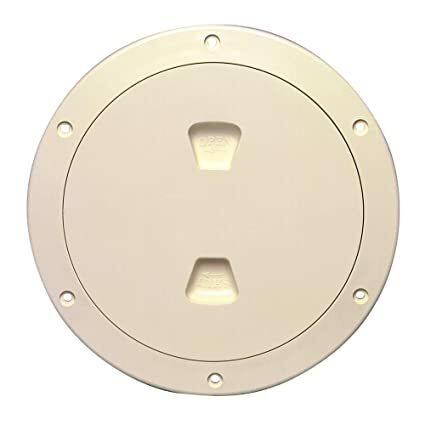 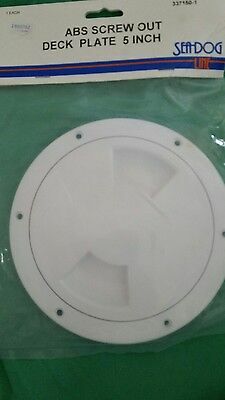 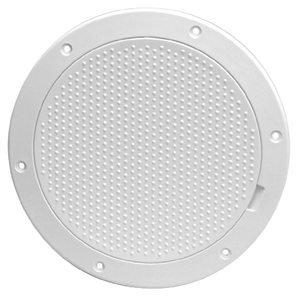 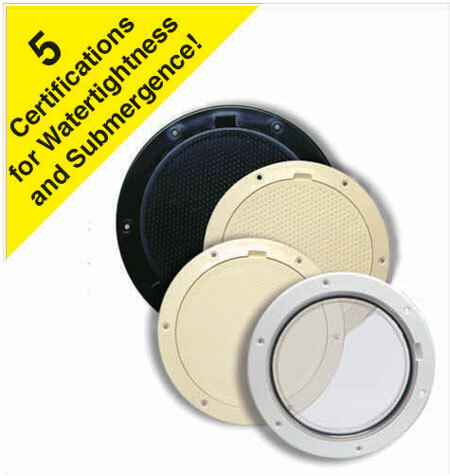 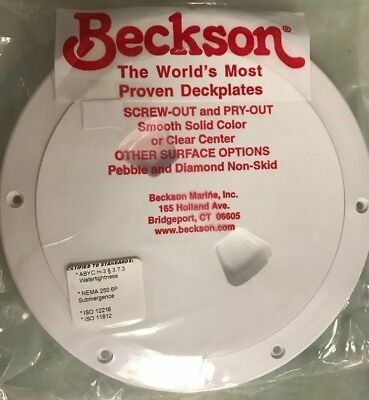 BECKSON MARINE INC HT1821-W BECKSON 18X21 FLUSH HATCH WHITE VERTICAL OR HORIZ. 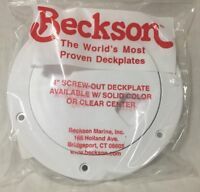 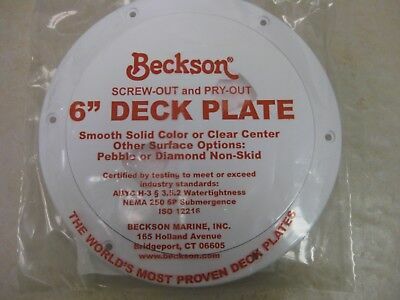 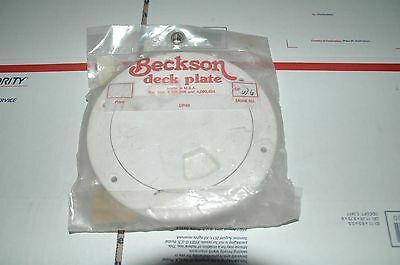 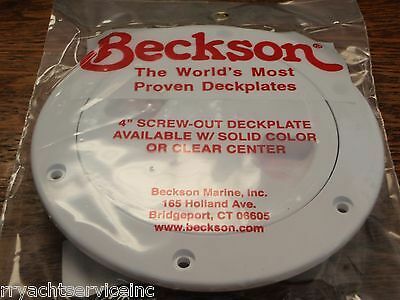 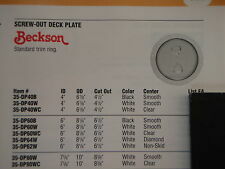 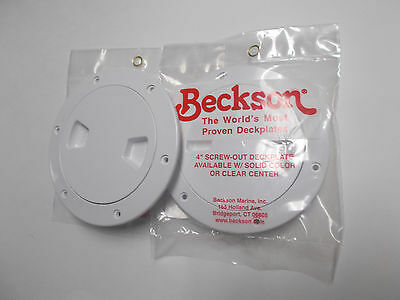 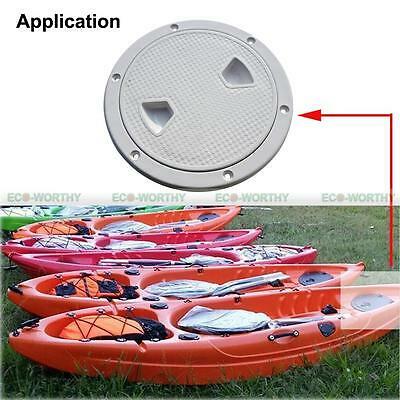 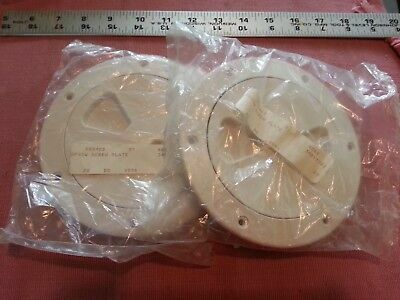 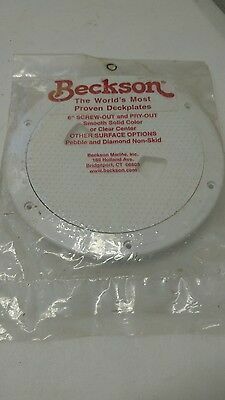 Marine Boat Screw Out Deck Plate White 4-7/16"
BECKSON 6" white pry-out deck plate. 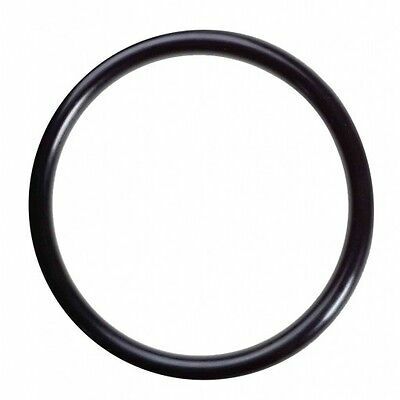 Smooth center style.